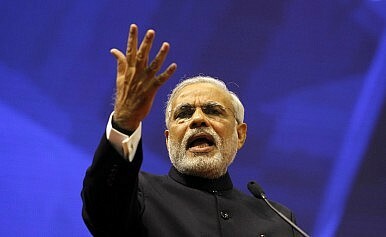 Why Has India’s Prime Minister Gone Silent? Modi’s silence on recent communal tensions can be misconstrued as encouragement. During India’s recent election, Narendra Modi was everywhere. It would have been impossible to escape his voice. Be it on social media, on the radio, or on TV, he was omnipresent. Modi commented on every issue through every medium, including Twitter and his personal website. Yet, two months after becoming the prime minister of India, Narendra Modi has suddenly become silent. This is especially notable when so many sensitive events are occurring in India, including an uptick in religious tensions in some parts of the country. Prime Minister Modi’s silence is thus a matter of question. What does it mean? Is it strategic? Many articles in the Indian media have attempted to understand Modi’s silence. First Post, a popular news portal, in an opinion piece titled “The sounds of silence: When Narendra Modi becomes ‘Maunmohan’ 2,” questions why Modi has gone into “radio silence” when so many issues are “roiling the nation, the parliament and his own party.” The article’s title is a pun of the previous prime minister’s name, Manmohan; maun (मौन) means silence in Hindi. Manmohan Singh was criticized by Modi for being silent on a variety of issues. The recent violence occurred in the districts of Moradabad and Saharanpur, located in the western part of the state of Uttar Pradesh. The communal violence between Hindus and Muslims has alarmed many in India and caused them to question Prime Minister Modi. Modi promised the nation that India would be violence-free and assured minorities that there would not be any religious discrimination. Pratap Bhanu Mehta, president of Centre for Policy Research, a New Delhi based think tank, writes that “Modi had promised a new discourse on secularism: an atmosphere less thick with the possibility of violence…[but] after two months, is there more or less reason to be anxious on this score?” The state of Uttar Pradesh is becoming a tinder box, and communal issues need to be addressed. The ruling Bharatiya Janata Party (BJP) has partially contributed to the religious polarization for electoral gain, but much of the blame also lies with Uttar Pradesh’s chief minister, Akhilesh Yadav, and his ruling Samajwadi Party. The Samajwadi Party is known for its incompetence and for shamelessly milking the Muslim vote bank. Mehta argues that Modi is at fault for failing “to publicly draw clear red lines on what his partymen can and cannot say, and inevitably, the worst in his party will shape the public narrative and induce fear.” The prime minister’s job is to encourage voices of conciliation and to use his office to transform public culture for the better. Prime Minister Modi should reach out to minorities more, to assure them of the government’s engagement with India’s Muslim population. This is why Modi has been criticized for not attending Iftar, or the breaking of the fast celebrations at the end of Ramadan. Traditionally, Indian prime ministers use Iftar celebrations to reach out to minorities. Modi’s distance from the media has made it hard to clarify his stance on a variety of issues. Modi normally communicates with the public using social media or through news conferences and rarely gives statements to the media. This one-way communication does not promote healthy democracy. He has closed himself off from active questioning and cross-examination. Furthermore, he has discontinued the practice of taking journalists on foreign trips, only taking with him personnel who work for state media outlets. Furthermore, he has instructed other members of the BJP cabinet to not engage the media in any way. The result is that the private media is increasingly practicing self-censorship to remain relevant and maintain access to politicians. The prime minister not only needs to be more communicative but also needs to engage in a dialogue with India’s Muslim minority, which might begin to feel gradually marginalized under the new government. People do not appreciate a silent prime minister, as we know from the example of Manmohan Singh. The Alliance of Indian Kings: Can a Coalition Defeat Modi’s BJP in the 2019 Elections?Modi’s Desperate Move to Rebuild His Image in NepalReimagining India's Nordic TiesIndian Elections 2014: Political Discourse Reaches a New LowIndian Elections 2019: Do Narendra Modi and the BJP Deserve a Second Term?